One of many extraordinary necklaces shown in this collection, from designer Patricia Von Musulin. 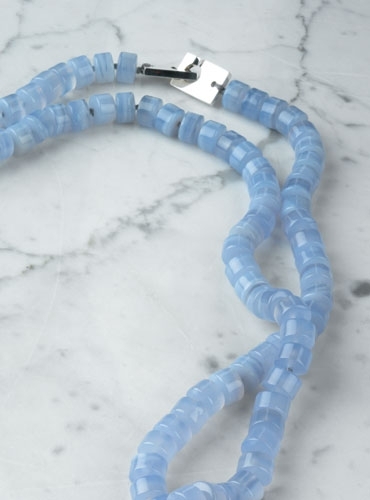 This necklace is a 54" blue chalcedony with a beautiful sterling silver clasp, strung in blue thread. 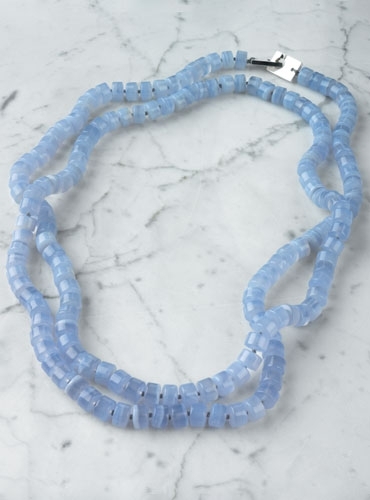 It may be worn long or wound multiple times.